As the song says, “Grays skies are gonna clear up,” and they have. Finally, after months and months, spring has descended upon us New York mole people in all her green, tuliped, pollen-filled glory. I’ve relocated my Claritin and my SPF 100 (don’t judge; even Angelina agrees that prevention is the best medicine) and have put on my happy face, as instructed. Mostly. There have been some big changes afoot in my usually quiet life. Patience, children. I’ll tell you about them in due course. For now, suffice to say that I’m more reluctant than ever to leave my lovely little Brooklyn home. 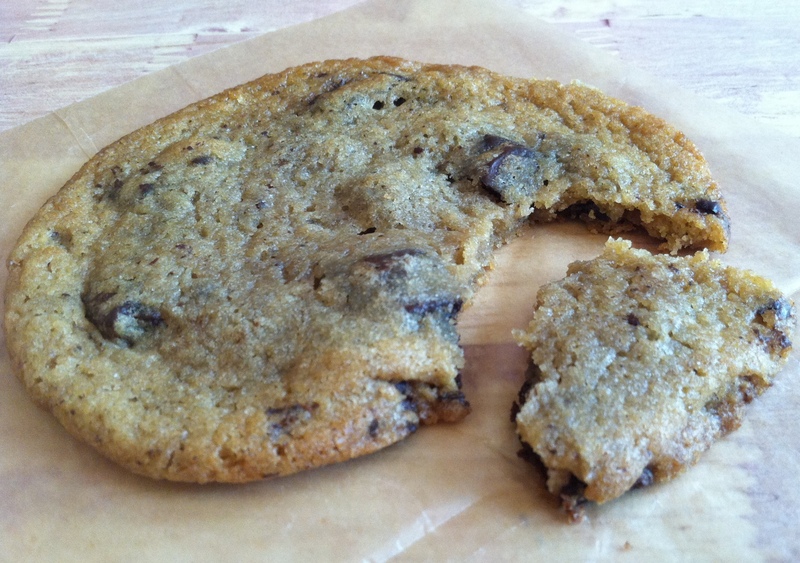 I will divulge, however, that some days are bitter, some days are sweet, and some days require cookies. When I walked into Du Jour Bakery in Park Slope, a neighborhood bakery that opened last year to accolades, I ostensibly wanted something celebratory. Deep down, I really wanted just a cookie. The time has come when I can now return to normal eating habits. Yes, the three week “cleanse” has come to an end! Ideally, one would take the lessons of the cleanse – eat clean, healthy food; prepare food yourself; leave the processed junk behind – with oneself forever and ever. I… might not. I will try, for sure. In fact, I’ve now done away with all artificial sugar (I know, don’t hate), and I’ve even made friends with a long-reviled appliance, the blender. But some things are definitely coming back in force. Natural sweeteners, yes. Hellooo, dairy. And finally, welcome back, gluten. Honestly, I’ve never understood folks who go gluten-free but aren’t actually Celiac. Sure, I can get behind eating more fiber-rich whole grains just like the next gal, but what is so bad about whole wheat? If you are not allergic, it can be just as healthy (or more so) than rice flour or some of the other, equally highly-refined gluten-free options. So what did I do to mark my triumphant return to the world of gluten? I had a muffin. Not just any muffin. 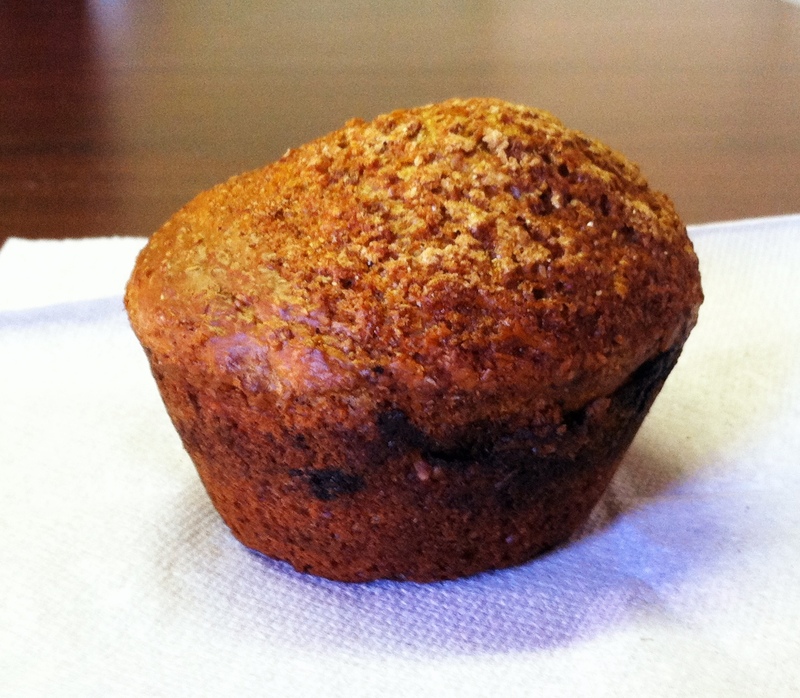 A Blue Sky Bakery muffin. I have a confession to make. I am a fan of reality TV. Okay, not all reality TV, but I firmly believe that some reality TV is better than other reality TV. For example: Top Chef is (was) an excellent example of reality TV that showcased brute talent, unfettered ambition, and improbable setups that lead to astoundingly inventive creations, much like its Bravo forebear, Project Runway. Inevitably, all of this talent, ambition, and creativity leads many Top Chef contestants, winners or not, to open their own restaurants. Such was the case with Dale Talde, cheftestant on Season 4 of Top Chef, who opened an eponymous restaurant, Talde, and a pork-centric bar, Pork Slope, within the span of a year, both in Park Slope. Of course, Pork Slope has no dessert on offer. 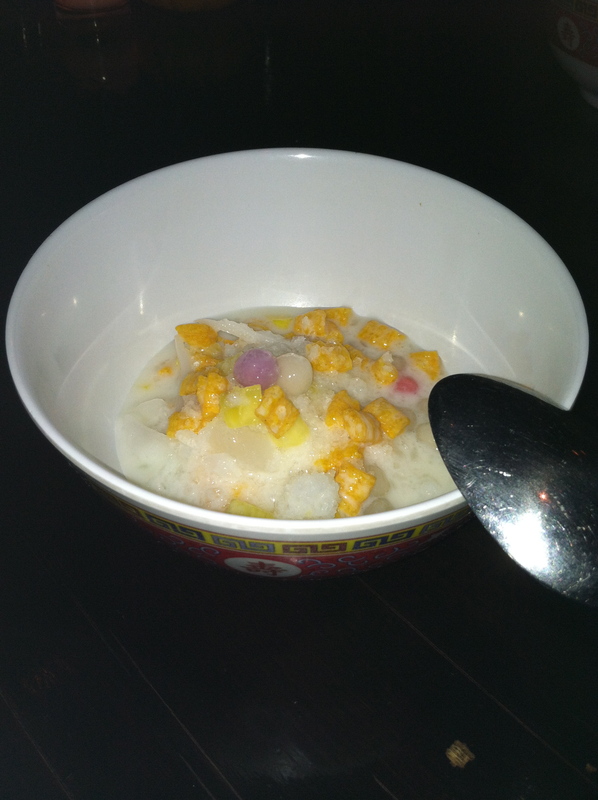 Talde, however, now has two: a newly developed chocolate pudding, and the standby classic, halo-halo. For anyone who remembers this moment from Top Chef, the choice becomes a no-brainer. Something you should know about me: I have an affinity for almost any frozen dessert. Ice cream, gelato, custard, yogurt, even those concoctions of questionable chemical origin. If I can scoop it, I’ll probably enjoy it. This is not to say I don’t have discriminating taste – I do – but I believe that for every time and place there is an appropriate and complementary cold confection. I’m especially spoiled. I live in Park Slope, where I have quick access to some of the most notable scoop shops in the city. 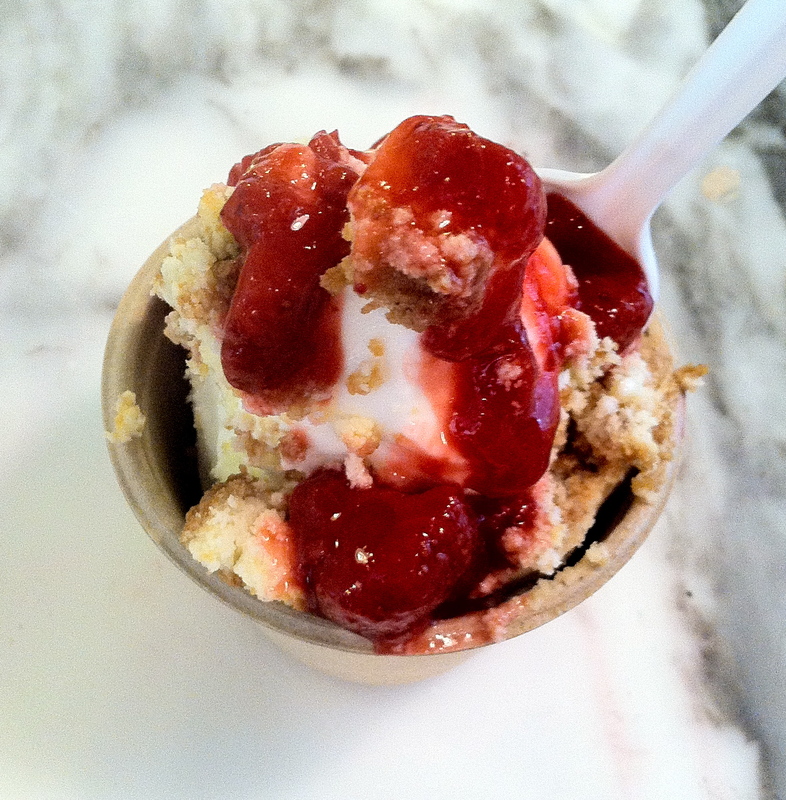 If I want ice cream with a clever, textured twist, I go to Ample Hills Creamery. If I want a more refined, ultra-rich cone, I stop by Blue Marble. And if I am aiming for something a little cleaner and just a smidgen healthier, I go to Culture for their tangy homemade frozen yogurt.